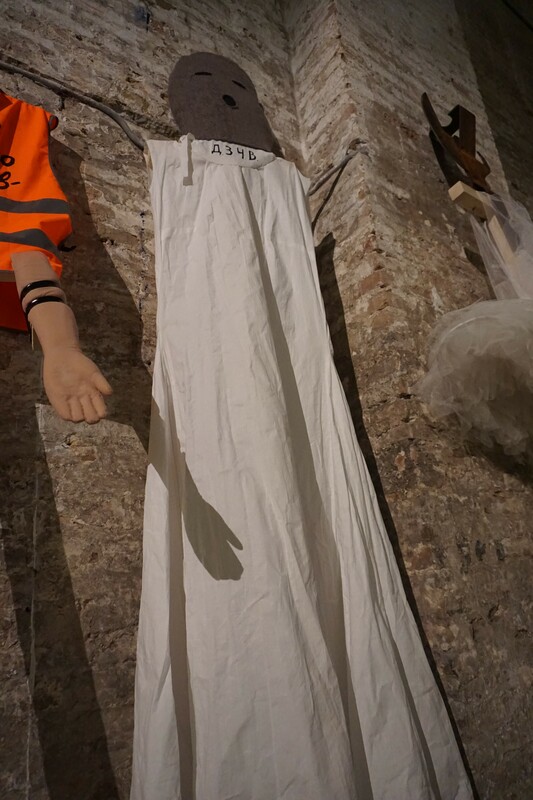 2015/05/17 | By admin | Filed in: News. 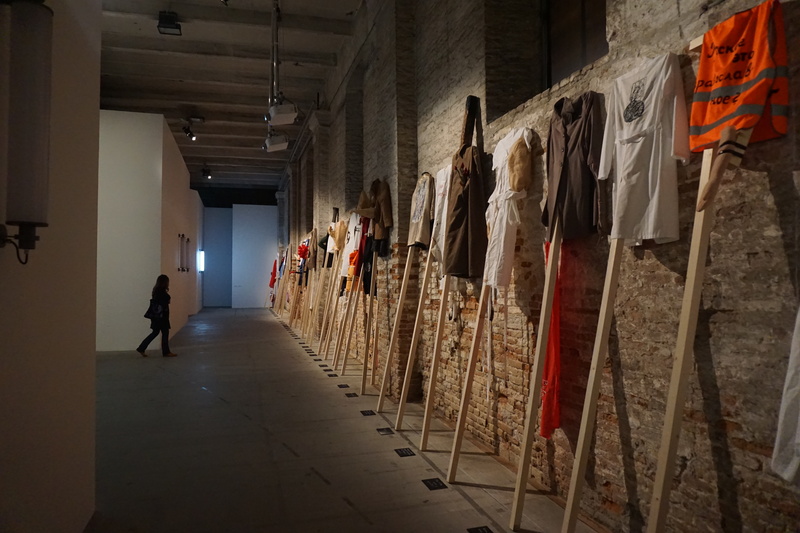 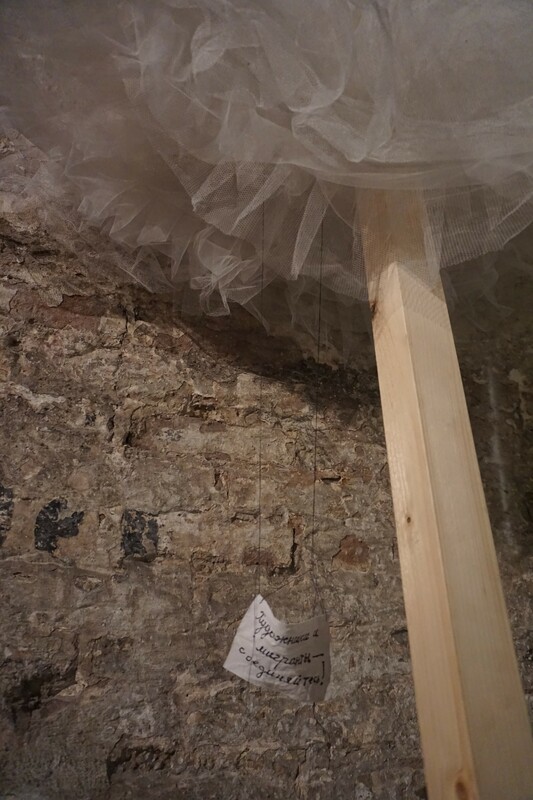 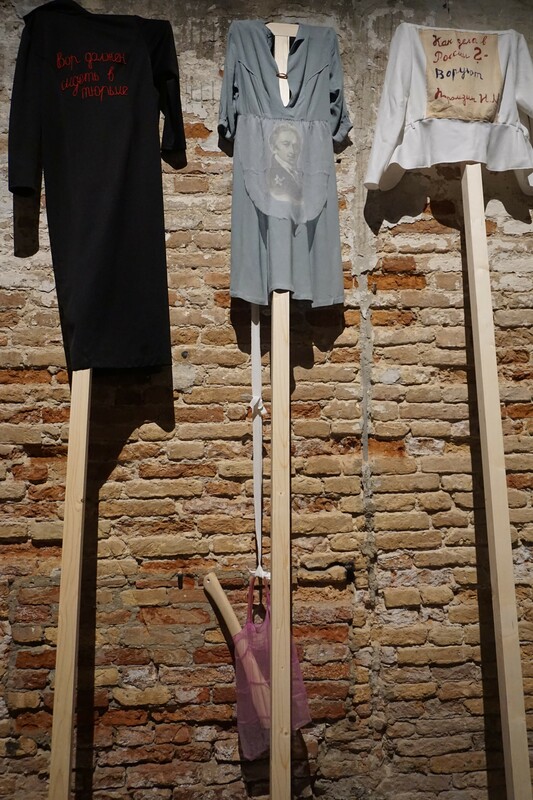 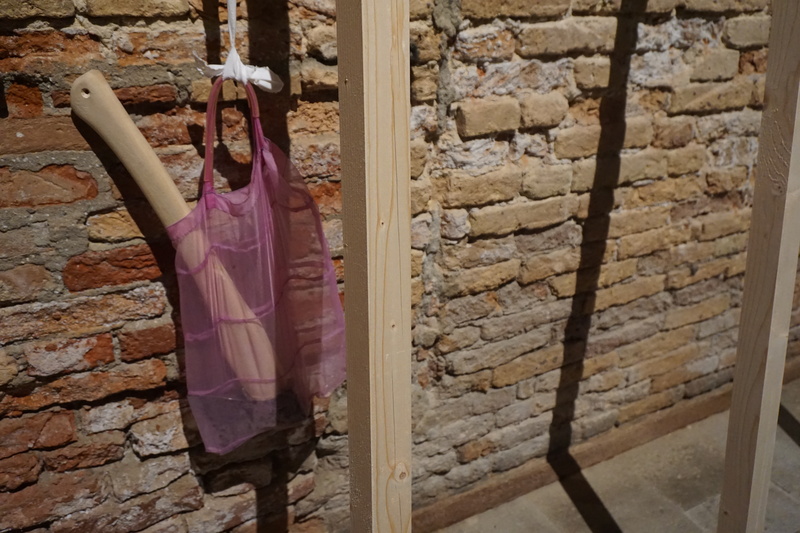 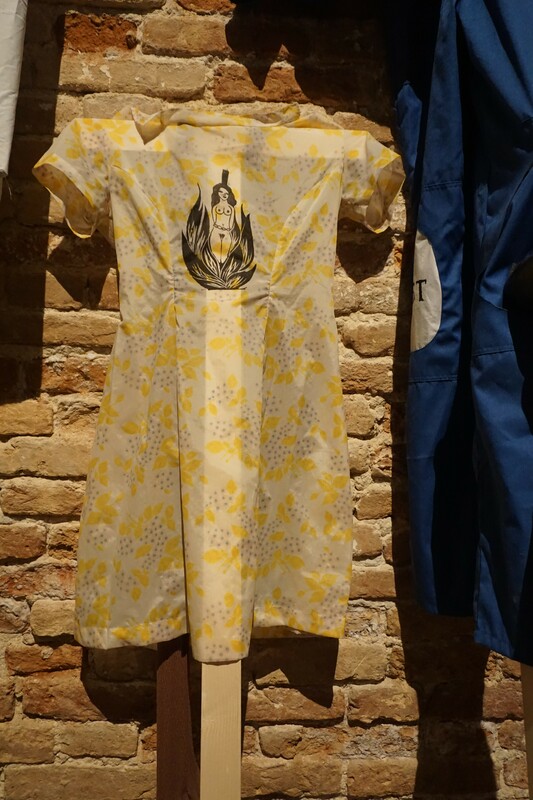 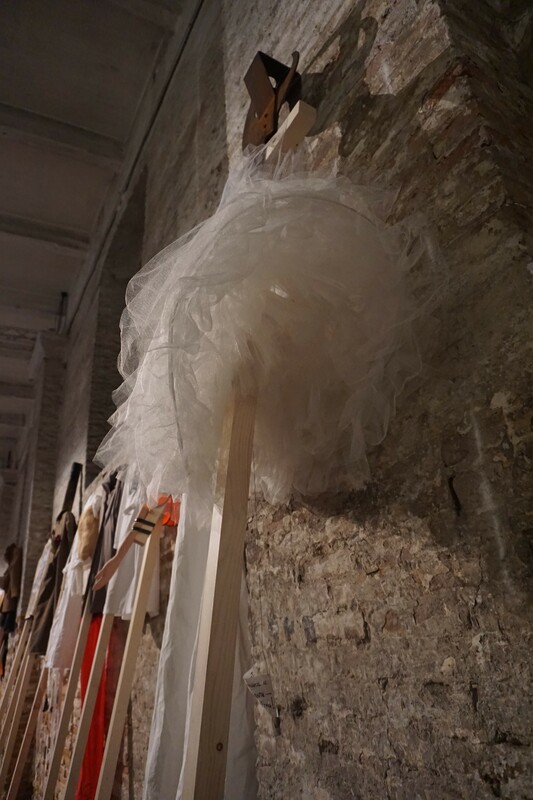 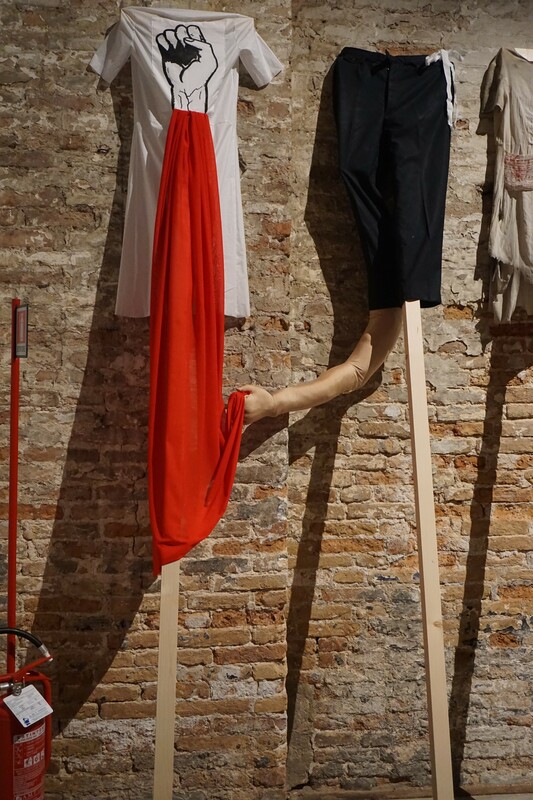 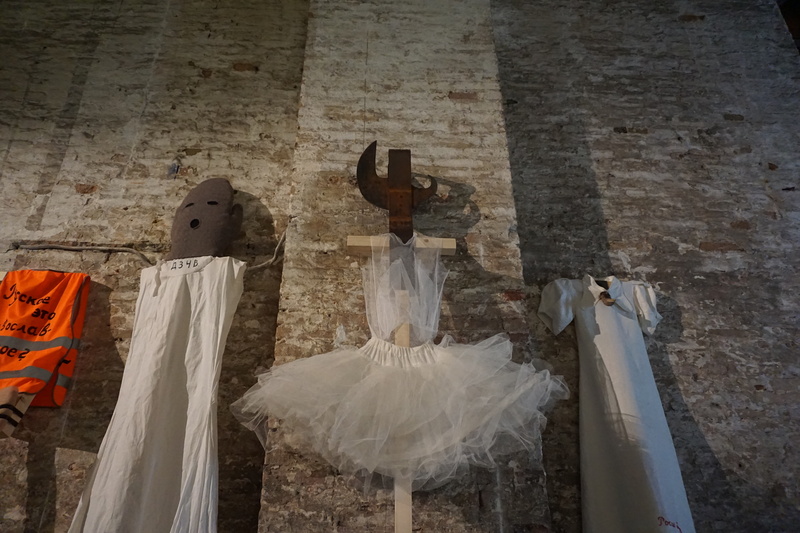 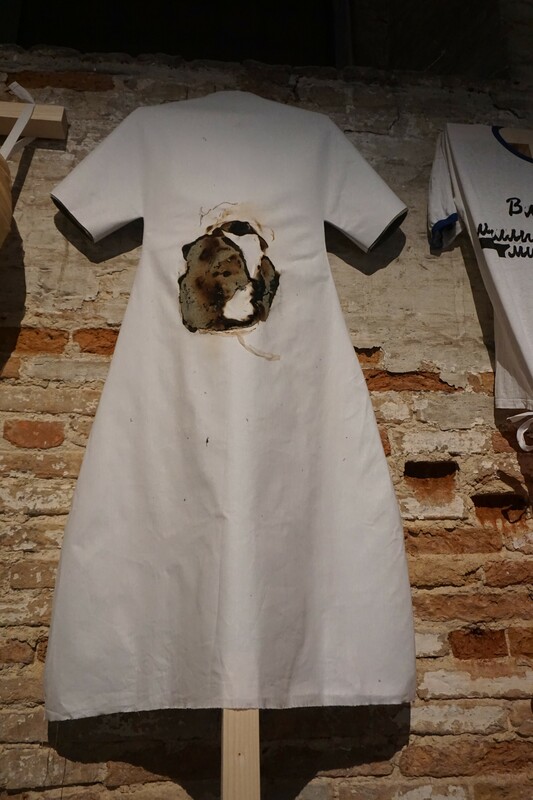 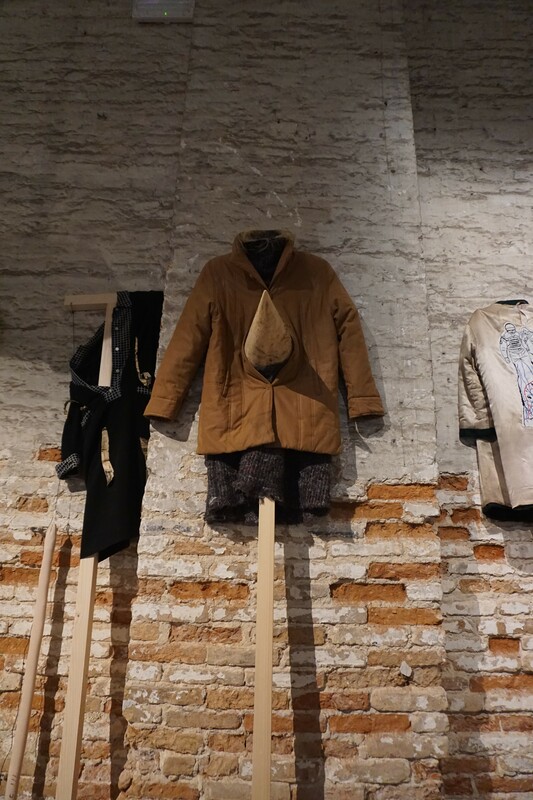 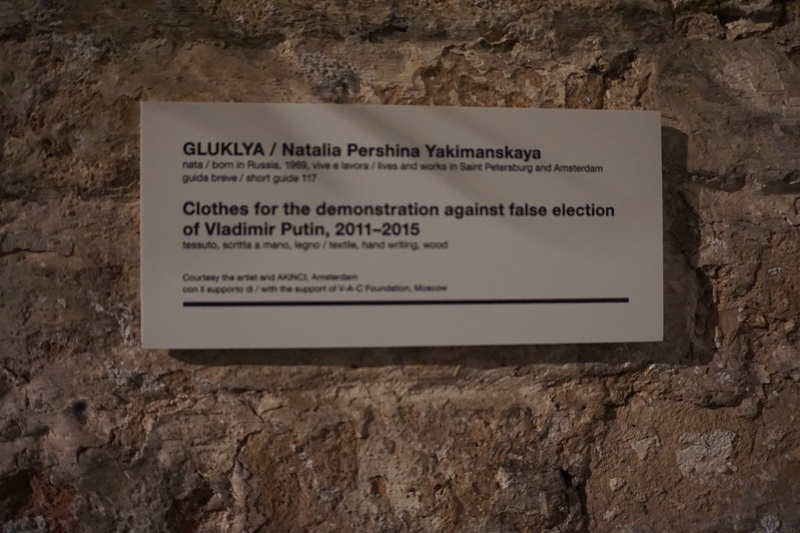 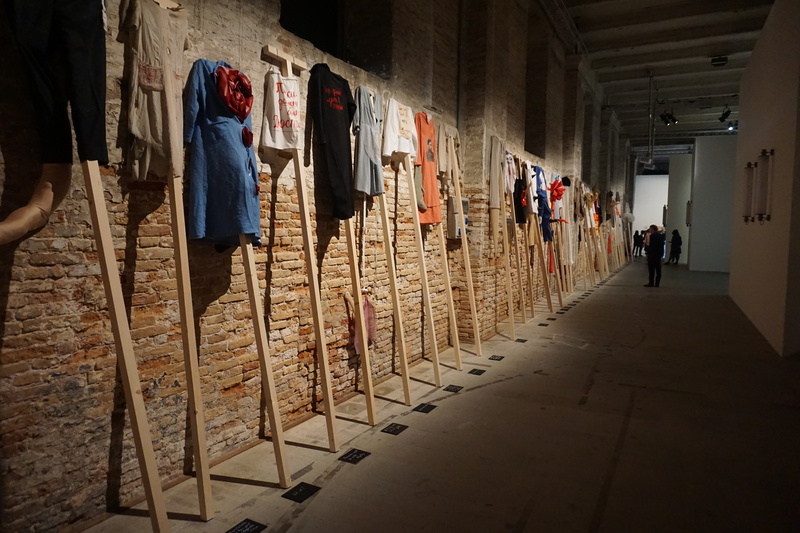 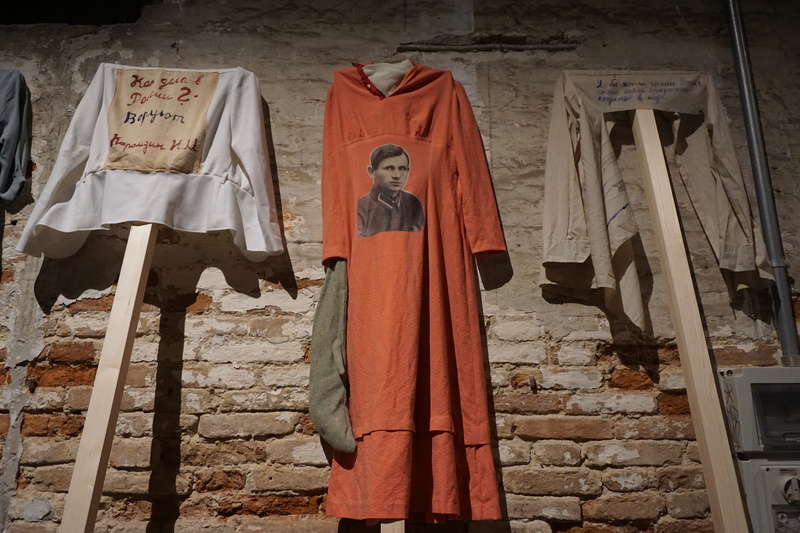 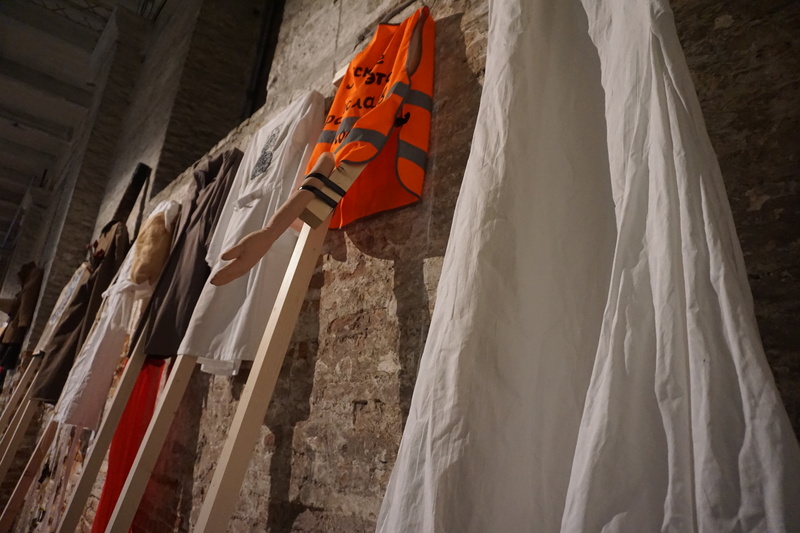 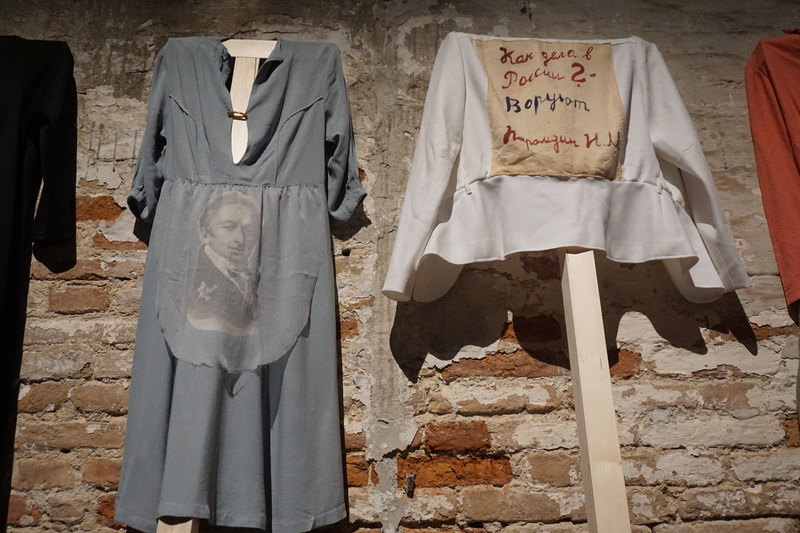 GLUKLYA / Natalia Pershina-Yakimanskaya, Clothes for the demonstration against false election of Vladimir Putin, 2011-2015, textile, hand writing, wood, Courtesy AKINCI Amsterdam, sponsored by V-A-C Foundation, Moscow. 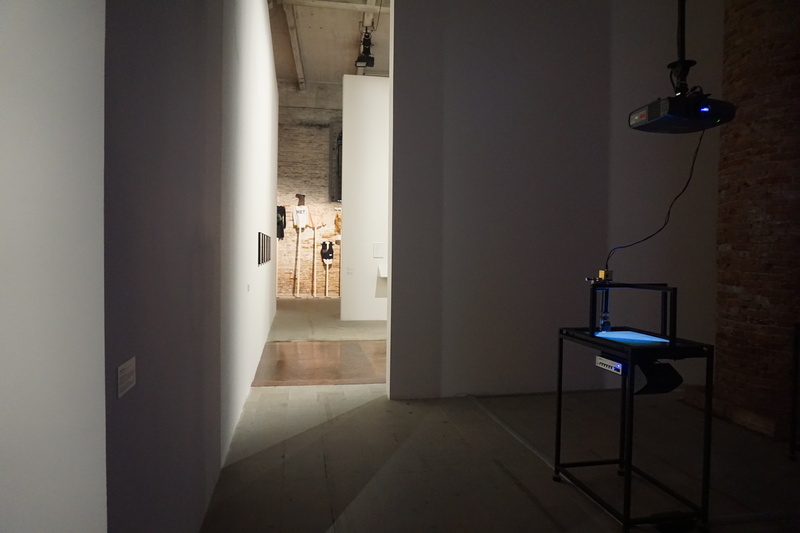 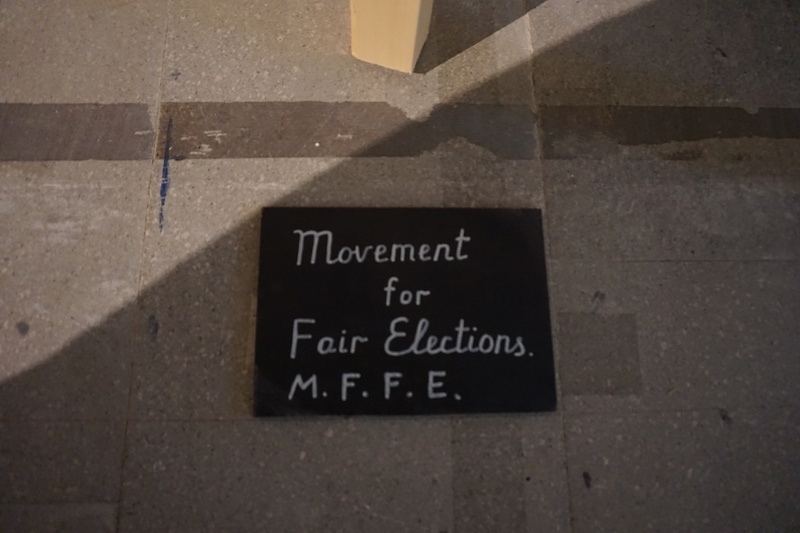 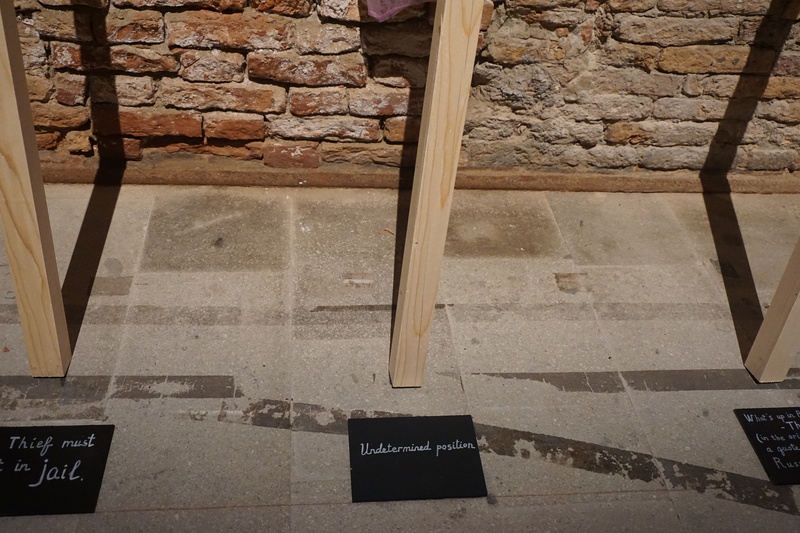 Artspace writes the following: In this show, Enwezor has tapped an impressive number of artists who ignore the market enough to speak truth to power—sometimes to the extent that it’s not obvious that what they’re doing is art. 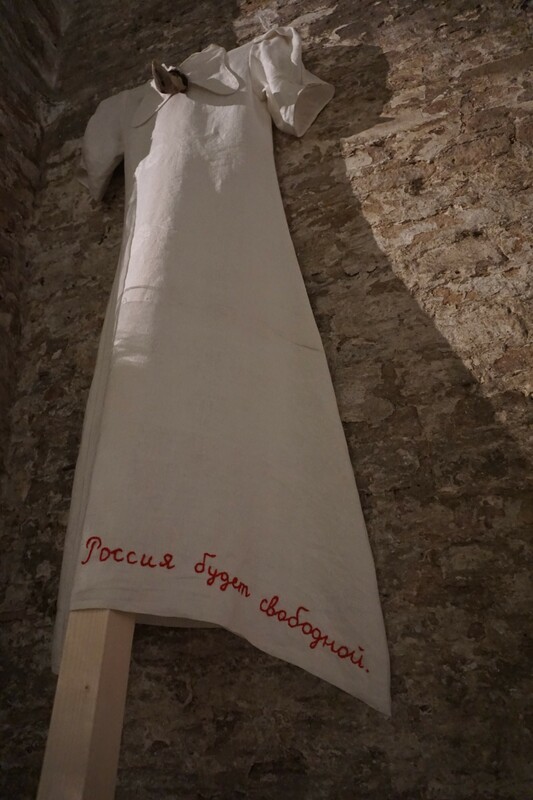 Their ethos may be best summarized by the Russian artist known as Gluklya, who co-wrote a 2002 manifesto declaring that “The place of the artist is by the side of the weak.” Her work, featured in the show, has been characterized by an exploration of the nature of public and private space in Putin’s Russia.